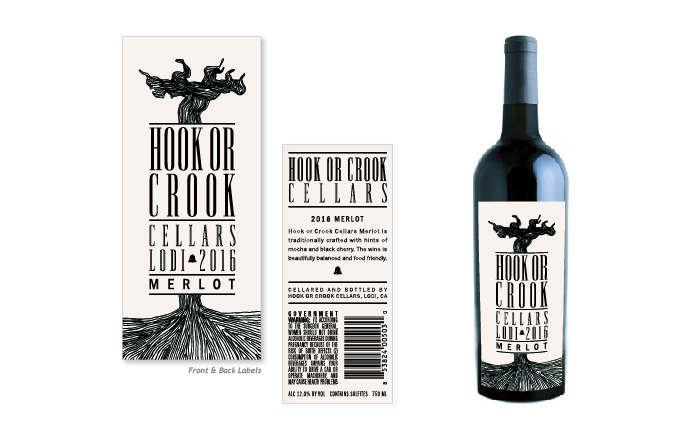 The fine folks at Thomas Allen came to us with a tall order for their Hook or Crook wine label. It needed to give a nod to their existing brand yet stand alone; to be boutique but budget-friendly to produce and to appeal to both European and American markets. After a little research and creative thinking (we may have sipped a glass or two in the process!) we landed on the perfect mix of all of the above. Handsome and uncommon, don’t you think?